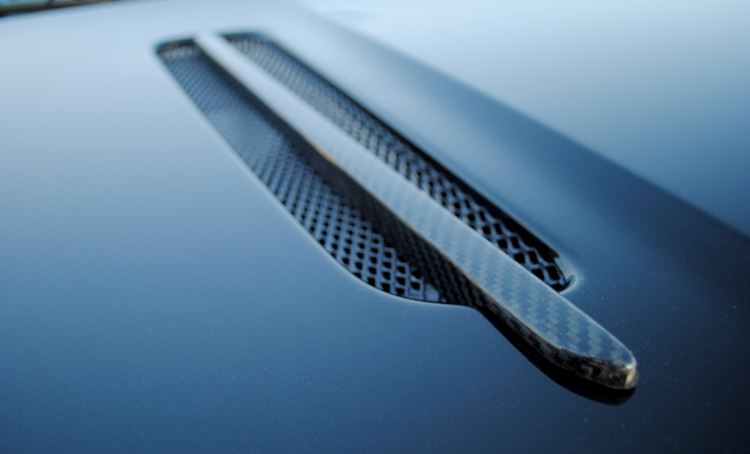 Created to compliment our carbon fiber side blades, the hood blades are a subtle but unique addition to the hood/bonnet of the Aston Martin V8 Vantage. The blades, developed to fit to the existing hood/bonnet vent mesh, are easy to attach and are available in glossy or matte carbon fiber as well as bright chrome. Sold as a pair.